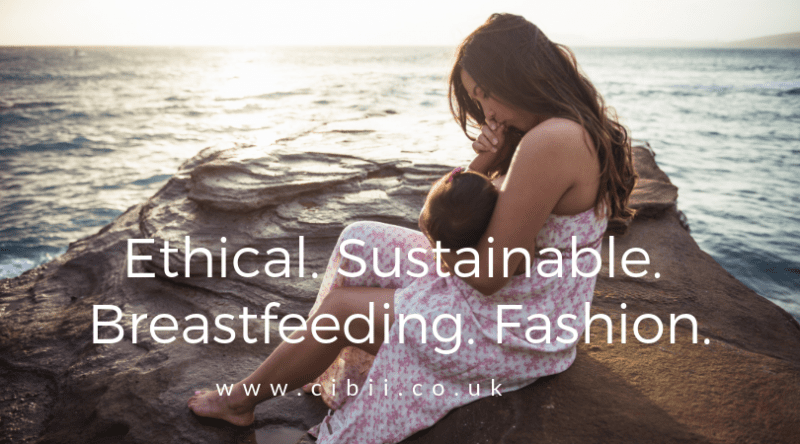 Ethical, Sustainable, Breastfeeding Fashion: The info. | Can I Breastfeed In It? This series of articles is something we have wanted to write for some time, ethical fashion is an important and emotive subject; it is increasingly more so as the long lasting effects of fashion and in particular fast fashion are becoming even more understood and importantly being publicised. Clothing manufacture has profound effects on our fragile planet, from the lives of the people involved to the raw materials and the footprint it leaves behind. There seems to have been a swelling of feeling against the effects of fast fashion over the last 12 months in particular, the Duchess of Sussex said at the British Fashion Awards, 2019 is the year where ‘it’s cool to be kind’. With fashion promotion we too have a responsibility to ensure people have all the facts so that they can make informed decisions about their clothing choices. What is ethical and sustainable fashion? There is not exactly an easy, simple answer to this question and the more you look into it the more complicated it becomes. Companies have their own definitions, policies and standards, but maybe not coupled with the transparency that allows us to see how deep these claims run. That is where the recognised standards come into their own to help us negotiate these brands pertaining to be ethical so that we can have trust in their convictions. More is constantly being understood about the full journey of our clothing from start to finish, more research and greater knowledge leads to higher levels of understanding but also shows how far there is still to go. With this greater understanding comes greater questions- which is not a bad thing. Further and deeper questions about the true ethics of production and the true sustainability of materials. The debate will rightly rage on; what is ethical and sustainable today may not be deemed as such tomorrow. In researching these articles it has been apparent there are brands that claim to be “ethical” and “sustainable”, they have policies in place but don’t necessarily stand by their convictions; and then there are those that go above and beyond with ethical fashion truly being at the heart of what they do, Frugi being an absolute leader. We have an insightful exclusive interview with Frugi founder Lucy Jewson who explains how they ensure the brand remains true to their ethical roots and encourages us all to be mindful of our fashion choices. There is so much to discuss on this topic that we could write and debate, and write and debate some more, this is just the tip of the iceberg. 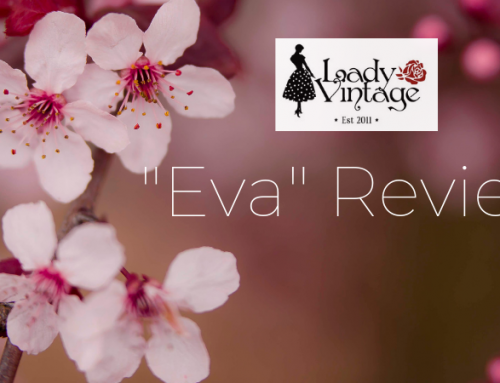 The aim of these articles is to try and arm you with the information so that you can make your own informed decisions about the clothing you choose to buy, or not to buy. 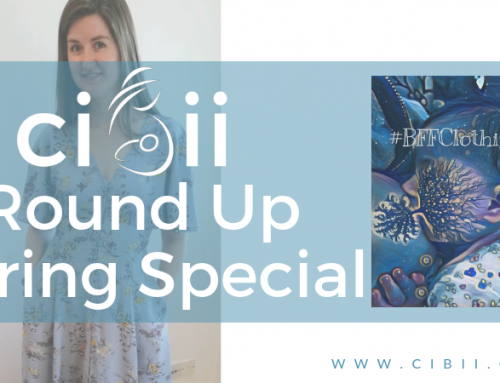 We have our headline interview with Frugi who explain what it is like to be an ethical brand, we explain a bit more about ethical and sustainable fashion and we feature brands that have ethical and sustainable credentials for you to choose from. We also have some suggestions to help lessen our footprint as consumers. This is not an exhaustive list but just some suggestions you may want to consider for making ethical and sustainable clothing choices. Buy & sell second hand clothing i.e our Facebook selling group, second hand sales. Wash clothing gently and carefully to ensure its longevity and reduce the micro-fibres released. Wash clothing inside out to prevent fade and prolong its life. Hang clothes in the sunshine to help remove stains. Have we mentioned buy quality, wear lots and swap and share?! Clothing brands offer many ethical credentials with their own policies and standards in place but how do we really know how they are measuring up? There are standards in place to help us have confidence in the ethical procedures that clothing brands set and achieve. They are a great way for us to be assured that the brands really are doing what they say on the tin. So do we know what do they all mean and what should you be looking for? 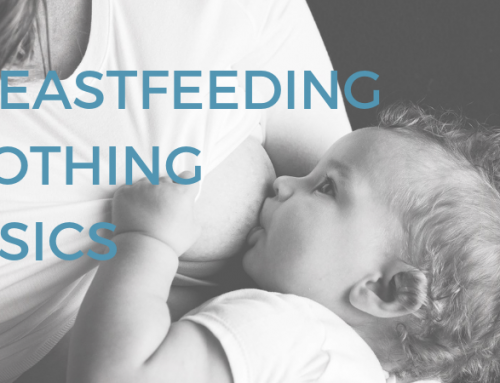 We have some of the key standards you may want to consider when looking for ethical breastfeeding fashion. The only way to ensure that textile products have been both produced organically and made in factories adhering to strict environmental and social standards is to look for the Soil Association and/or the GOTS logo. These demonstrate that the fibre was produced organically, processed to strict environmental standards under good working conditions in the factories, and has been certified by an independent, third party along the whole supply chain. The Soil Association verify every step of a clothing brand’s supply chain, looking at environmental impacts and some social impacts in accordance with their standards. The Soil Association certify for the GOTS standard and the Organic Content Standard (OCS). This is the leading standard for textiles made from organic fibres. To achieve this certification, brands must manage their environmental impact, have high social standards, reduce energy and review water usage. This in particular includes how the cotton is grown, milled, bleached and of course the working conditions throughout the process right through to the labelling on packaging. – GOTS approved products have the entire supply chain verified, even the farms must have certification to a legally recognised standard. – GOTS Certification is carried out by independent companies and facilities are physically inspected to verify standards are met. In essence this is THE standard to achieve to prove the manufacturing process is ethically sound from crop growth to the individuals making your clothes. The goal of the OCS is to ensure trust in organic content claims. The OCS accomplishes this goal by verifying the presence and amount of Organic Material in a final product. It provides a strong chain of custody system from the source of the organic raw material to the final product through certification. There are two standards dependant on the organic material content. This is the OCS 100 label, it means that the item is made of at least 95% organic material. OCS blended is used for products that contain 5% minimum of organic material blended with conventional or synthetic raw materials. Chemicals are used throughout the clothing manufacturing process and can have catastrophic effects on not only the environment but the people coming in contact with them. If a product is labeled as OEKO-TEX® certified it is completely free from harmful chemicals and safe for human use. The STANDARD 100 by OEKO-TEX® product label, certifies adherence to the specifications of the standard through testing and to limits for potentially harmful chemicals. Basically to certify the clothing is free from nasty chemicals that have potential for upset to yours or your little ones skin and also potential environmental damage during manufacture. The FAIRTRADE Mark on an item of clothing means that the cotton within the item is produced by a Fairtrade certified producer organisation in a developing country, who will be receiving a fair and stable price for their cotton. Producer organisations are made up of many workers and farmers. The Fairtrade standards aim to provide support for social, economic, and environmental development of small scale farmers, and completely prohibit forced labour and child labour. If you see this label, it means that the company producing the item is a member of the Fair Wear Foundation (FWF). When a company becomes a member of the Fair Wear Foundation, they have committed to FWF verifying and improving their supply chain conditions. FWF have eight labour standards based around the UN’s Declaration on Human Rights. -Biodiversity and care of the land on which the crops are grown, including amount and type of land used. -Use of pesticides and fertilisers that damage land and enter water courses causing further damage to ecosystems. There are also concerns for the workers health. -Chemical use – synthetic chemicals are used in the process for fixing dyes and can be extremely damaging when entering water courses, to the workers handling them and to skin when worn. -Water pollution – 20% of global industrial water pollution comes from textile dyeing and treatment. -Working conditions – including factory conditions, wage, working hours, social factors, diversity, employee contracts. -Support of heritage and traditional craftsmanship. -Transparency of the journey from field to your door. -Release of clothing micro-fibres into water courses. -Waste clothing processing- i.e. offcuts, samples, imperfections, produced during the process and what happens to it. -Closed loop processing in which waste produced during manufacture is minimal. Organic – Choosing organic fabrics is better than choosing non-organic fabrics. Harsh pesticides and fertilisers are not used for cultivation, however more land may be required due to lower yields. Organic fabrics are also lovely and soft due to the kinder processing of the fibres. Recycled fibres – innovative use of waste fabrics/PET to produce new fibres. Tends to require less resources than virgin fibres. Recycled content reduces the pressure on virgin resources whilst helping deal with the problem of waste. Alternative fibres – i.e. hemp, nettle, seaweed, coffee grounds, pineapple leaves, squid and even banana fibre from banana stems. Cotton – is a natural product that comes from the seed pod of the cotton plant; it is the most wide-spread non-food crop in the world. The biggest impacts from the cultivation of cotton are from the huge amounts of water that are required, the chemicals used, in particular vast amounts of pesticides, and the significant amount of arable land needed for growing. Cotton growing also severely degrades the soil quality over time. Various chemicals are used during the process, however fabrics that are designated as organic but not under GOTS may not be competely chemical free. Cotton fabrics is such a popular fabric as it can be very durable, accepts dyes easily, is easy to care for and wash, and comfortable to wear because it is breathable- absorbs and releases moisture quickly. Organic cotton – is grown without the use of harmful pesticides and insecticides. Organic cotton still requires large amounts of water but less than non-organic, however it can require more land due to lower crop yields. Look out for the Global Organic Textile Standard (GOTS), the Soil Association, the UK’s certification body or Oeko-Tex, which checks processes for harmful chemicals, to assure the fabric has come from approved sources. Rayon – is any synthetic fibre made from cellulose, wood being the main source. It is absorbent, soft, strong and is also biodegradable. There are many types or Rayon including modal, lyocell (TENCEL™), bamboo and viscose. The process to produce the fibres is very similar but the process to convert the fibres into fabric can vary greatly meaning that not all are by any means environmentally friendly. 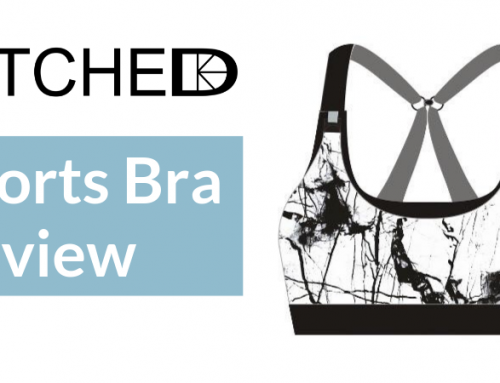 TENCEL® (Lenzing’s lyocell) is however environmentally friendly and sustainable. Modal – modal fibre is the generic name for a semi-synthetic rayon. It is the second generation of rayon, very water absorbent, breathable and incredibly smooth. Modal fabric is made by spinning cellulose. reconstituted from trees. It is most commonly from beech trees, Lenzing Modal is made used sustainable beech trees, other sources may not actually be sustainable and also be heavily processed with the use of chemicals. Lyocell (TENCEL®) – natural and one of the most sustainable fibres made from wood pulp. TENCEL® in particular is obtained from sustainably harvested eucalyptus trees. They are grown without the use of pesticides, have a high yield and use less water than cotton. The chemicals used to produce tencel fibres are nontoxic and the pulp is treated in an efficient closed loop process. Lyocell can also be recycled. The fabric made from the fibres retains it’s properties – soft, extremely absorbent, and very strong when wet or dry. Bamboo – bamboo fabrics are made from pulped bamboo grass, the beauty of bamboo it that it is extremely fast growing. Bamboo is diseases and pest resistant so doesn’t require the use of any chemicals. Hemp – a fast-growing plant and needs very little water, chemicals and is GM free. As an added bonus, the growing of hemp improves the soil by replenishing vital nutrients and preventing erosion. Hemp is dyed easily and does not discolour quickly. Hemp fabrics are warm, breathable, anti-bacterial and biodegradable. Hemp was traditionally a coarse fibre for clothing however with modern technology the fibres are much finer and softer and it is starting to become more popular as a sustainable fabric option. Hemp is from the cannabis family so there can be legal problems with its cultivation. Nettle – as per hemp, nettles use a lot less water and don’t need pesticides, also as opposed to hemp there are no potential legal problems growing the crop. Stinging nettle fibres are strong, flexible and great for heat regulation, keeping the wearer cool in the summer and warm in the winter. The sting is removed before spinning the fibres! Wool – a tough fabric and a great choice for outdoor clothing as an alternative to polyester due to its water-resistant nature. It also does not shed micro-fibres. Wool holds dyes well without the use of chemicals. Sheep are also raised on land not suitable for crops. The main problem is the carbon footprint from the sheep themselves producing methane! Linen – a plant-based fabric made from flax with the whole plant being able to be used. Flax can be grown on rough terrain that can’t be used for food production and can be grown without the use of chemicals. It also doesn’t have a huge drain on energy or to produce. To prevent pollution of watercourses the flax should not be soaked in rivers. Linen is very durable, hard-wearing, lightweight and is also biodegradable. Soy – like hemp, soy is extremely versatile in its uses and is a good alternative to silk and cashmere (both involving animals). Silk – produced by moths with traditional methods destroying the moth and cocoon. Sustainable silk doesn’t kill the moth pupa with various types being available. Like organic cotton, “green” silk is often softer as no harsh dyes are used in production. Polyester – a plastic fibre made from oil using large amounts of energy. Due to its versatility, polyester is the predominant fabric fibre used for clothing- 60% of clothing. When polyester is washed it releases plastic microfibres which end up in our waterways and seas. These are then ingested by sea creatures and then in turn by us. A horrific cycle with staggering repercussions. Nylon, acrylic – as per polyester. Econyl – a green alternative to nylon made entirely from waste products including carpets, rigid textiles and abandoned fishing nets, carpets and rigid textiles. Recycled PET – most often made from recycled plastic bottles. A low energy production process. However recycled polyester also releases micro-fibres and has the same environmental repercussions, this is why clothing made using recycled plastic is often used for outer garments such as coats as they require less washing. Patagonia were the first brand to make fleece from recycled plastic bottles with more now joining the party. Chemical nasties – Formaldehyde, Azo, Phthalates, Alkylphenols, heavy metals, amines, or PVC in any form. These chemicals are used at various stages in the process and can be harmful to the environment, to the workers handling them and the consumer wearing them. Dyes – clothing dyes can be synthetic or natural. Waste water from synthetic dyeing can cause severe pollution of waterways and damages ecosystems, both by the dyes and chemicals used in the process. Rivers often being discoloured as a result. Natural dyes are produced from renewable resources-plant, animal or mineral based. The main type are vegetable dyes from roots, berries, wood, fungi, lichen. They are biodegradable and are not harmful to the environment. However natural dyes can also have an impact due to the significantly larger amount of land required to grow certain dye crops than the actual fibre crop itself ie cotton, therefore not necessarily hugely sustainable. Natural dyes can also still be harmful and be irritants and the colour may fade quicker. Digital printing is another alternative option to the synthetic dye process. Low Impact Dyes – these dyes have a higher average absorption rate which means means less water is required in the rinse process, there is less dye run off in the water and therefore a lower environmental impact. Low-impact dyes do not contain heavy metals or need toxic chemicals to fix them. nat.halman2019-02-05T20:17:22+01:00Categories: Ethical, Fashion, General, News, Opinion, Small Business|Comments Off on Ethical, Sustainable, Breastfeeding Fashion: The info.